Good content is, of course, key to keep audiences watching. However, simply creating engaging content is not enough. To create an exceptional user experience, users must be able to access content quickly. Video buffering remains the top frustration with online video viewing, with almost half of viewers abandoning a video if it stops playing to re-buffer more than twice (source: The State of Online Video). Content providers work with a huge and continuously growing amount of data, which presents a significant challenge in terms of storage practices. Crucially, they need to be able to manage huge spikes in demand that occur at key times of the year. Sports broadcasters, for instance, need to make sure that they can deal with the pressure that is put on their network during peak traffic times, when massive sports events like the Superbowl or World Cup take place. 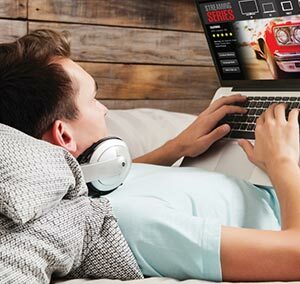 Broadcasters are all keenly aware that today, success hinges on their ability to deliver online video reliably and consistently. They need to invest in their infrastructure to ensure that they can predict and manage surges in demand for their services. Whether they are live streaming sports events, conferences or corporate media presentations, failure is simply not an option. Gomez revealed that, unsurprisingly, 88% of online consumers are less likely to return to a site after a bad experience. Even tiny delays can reduce site traffic over time. Without the correct storage system in place, broadcasters may suffer a range of problems when delivering content, from buffering, slow load times and increased costs. Here we examine how choosing the right system can help providers to create an exceptional digital experience for users everywhere. Storage is where content delivery networks (CDNs) go to retrieve files that arent cached in Point of Presence (PoPs) around the globe. If the storage system is in a centralised location outside of the network, users may experience a significant amount of latency. To ensure high availability, streaming providers should use a system that automatically replicates content every time it is retrieved to meet a user request. This will give users access to the fastest version of the site, provide protection from spikes in demand and reduce the risk of content being unavailable all crucial to ensure an exceptional digital experience, regardless of where the user is accessing content. The growing appetite for good quality content is not only year-round, but also global. This puts providers under pressure to ensure that users everywhere get a great experience and, most importantly, a fast experience. They dont just want things to happen quickly, they want them to happen immediately. This means no annoying buffering video content must start playing instantaneously with no perceptible delay. Digital content must be broadcast with flawless, broadcast quality. Streaming providers need to store their content within a distributed infrastructure that can absorb attacks across a large defense surface. This is essential to protect content from newly-emerging distributed cyber threats. Protecting data from attacks is vital to prevent loss of content and the reputational damage that may result. The operational costs associated with managing a content library can be significant. Providers should look for a time-responsive system that is able to migrate content automatically, based on audience demand. As well as reducing costs associated with a change in infrastructure, self-managing storage solutions reduces business reliance on storage experts. The work is done automatically, without the need to consult external experts. This is a great help for providers, as a common challenge in the industry is a shortage of skilled technology talent (source: Gartner). As investment in digital content continues to soar in response to the ever-growing rise in online video viewership, broadcasters are under increasing pressure to deliver a customer experience that rivals that of traditional platforms. Jonathon Smith, Managing Director EMEA of Limelight Networks, confirms this: video content is driving global internet traffic growth. And while its not the most expensive piece of the business model, video delivery is becoming one of the most important factors in determining success and failure. To overcome the issues highlighted in this article, providers should look for storage that simplifies workflow with automatic replication, high availability, global scale and multi-CDN support. Solutions like Origin Storage can improve quality and increase delivery speed by up to 200%. Not all storage is created equally, and the importance of selecting the correct storage solution must not be overlooked if broadcasters are to deliver an exceptional digital experience. Many will need to re-think their current infrastructure and address the shortcomings of storage solutions currently in place.